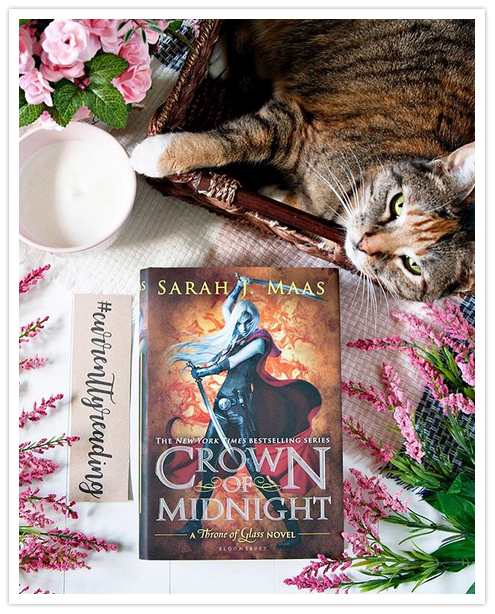 After having *finally* read Throne of Glass by Sarah J. Maas last month, I absolutely couldn’t wait to get started on Crown of Midnight. 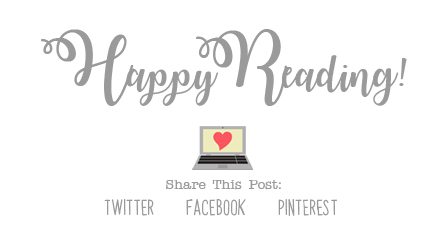 If you read my post about Throne of Glass, you’ll know that I’m currently working my way through this series one book per month, in hopes of being completely caught up by the time the newest book, Kingdom of Ash, is released in October. Since I’ve been meaning to read this series for a while now anyways, it seemed like a good time to get started on the series, and I’m really enjoying it so far! 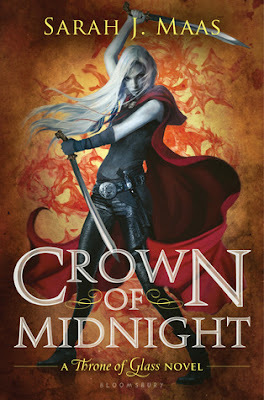 Crown of Midnight picks up not long after where Throne of Glass leaves off. The storyline for this book was just as addictive as the previous book, though it did seem a little slower at times. Well, right up until the last half of the book, where things got a little crazy! One thing that I really like about this series, is that while some things are a little predictable, it *still* manages to keep me guessing at times. I love that! I have absolutely no idea what to expect from the next book in the series, but I’m super excited to have it on my TBR for next month! I don’t remember if I mentioned this in review of the last book, but I really, really like the characters in this book. I love Celaena for her fierceness and her snarky attitude. I love Chaol and Dorian as well, but if you asked me to pick between the two, I don’t think that I could. And after the ending for this book, I have no idea what is in store next for these characters. Overall; Crown of Midnight was a really interesting sequel to Throne of Glass, and now having read it, I’m really excited now to move along to the next book in the series, Heir of Fire! I’m so glad that I own these books already, and that I can read them back to back, instead of having to wait a year or more for the next book to release. Here’s hoping that I can be completely caught up by the time the newest book is released in October.